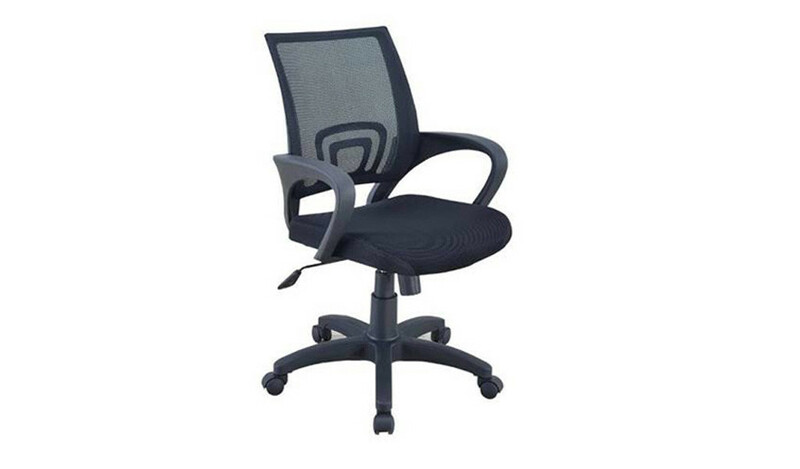 A sleek, strong, durable and sturdy chair that gives you all the features and comfort and fits beautifully into your budgetary as well as aesthetic requirement. 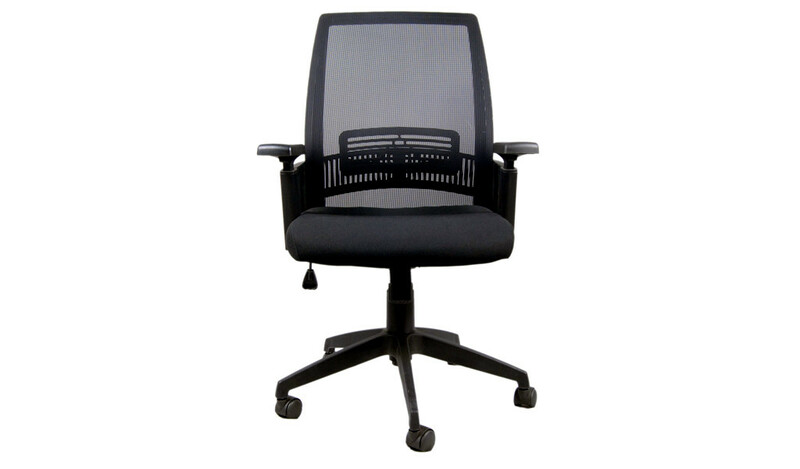 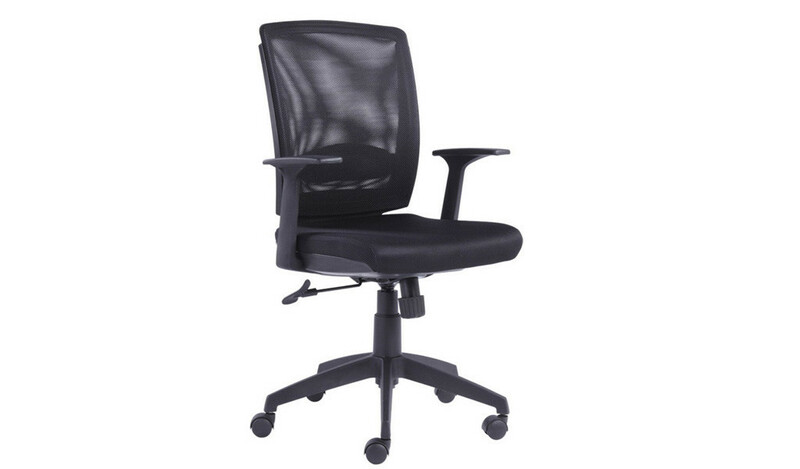 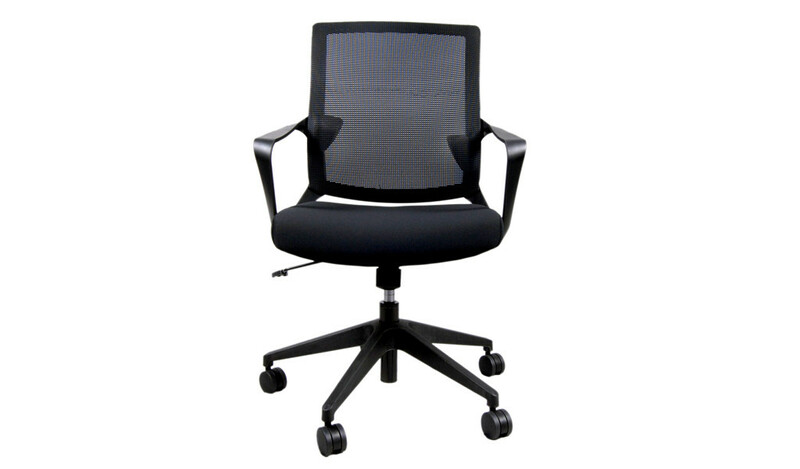 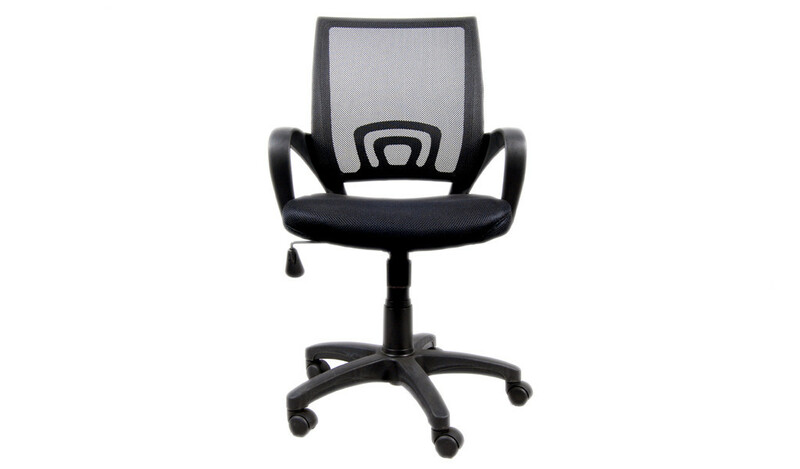 Mesh back, mesh and foam seat, height adjustment and tilt mechanism, reinforced nylon base and castors. 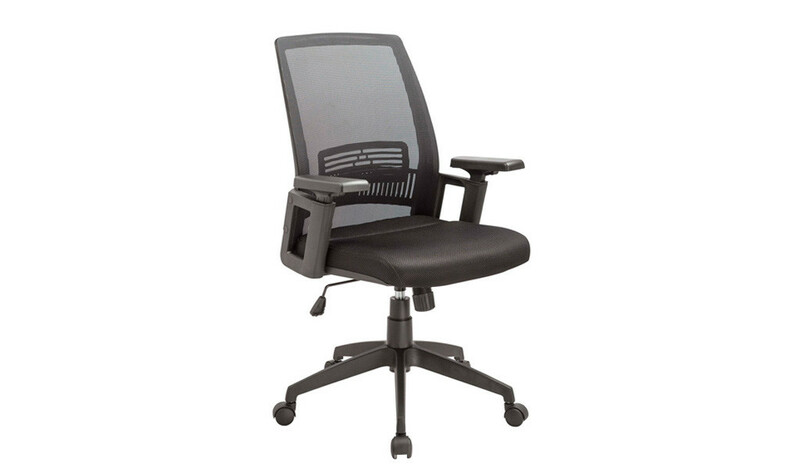 Padded fixed armrests for maximum comfort. 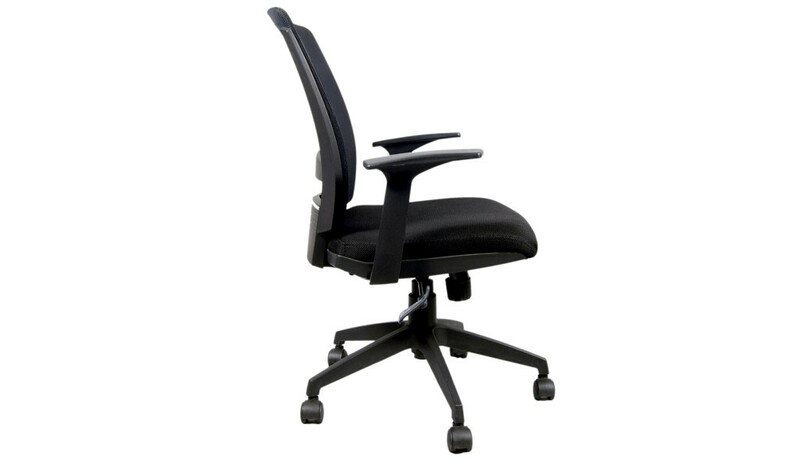 Curved back supports your lower back and natural curve of your spine. 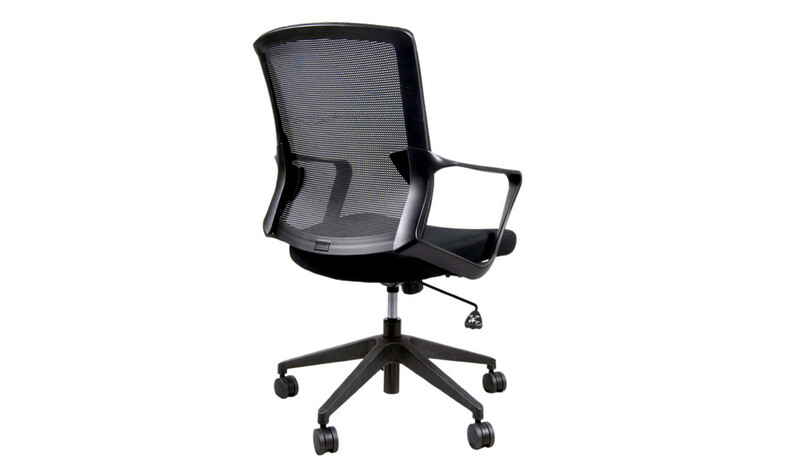 – Mesh, PP, fabric and reinforced nylon.